Made by the Hebert H. Horn Radio Manufacturing Company in Los Angeles, this attractive plaskon Tiffany Tone has many LA stations on the dial. The brand is rather uncommon so this example is a nice addition to my collection. 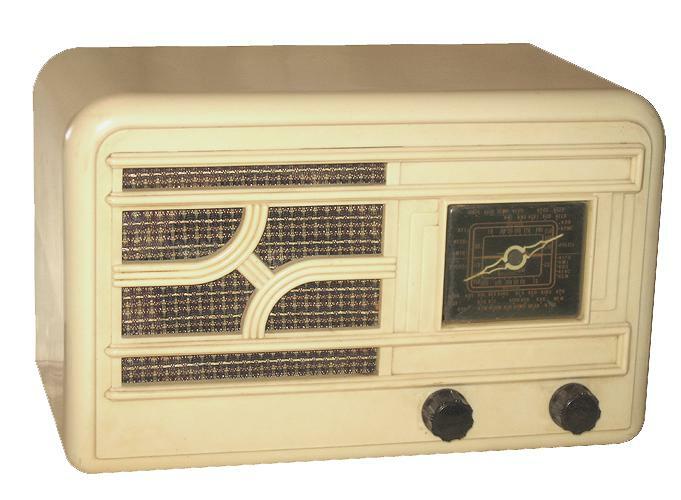 The radio was purchased off ebay and is in good original working condition. How nice, I don't have to worry about recapping, yet. It is advised that the radio is recapped first before it is even powered up.